At ALCOLOCK, we’re dedicated professionals who are passionate about developing and offering the best products and services possible. We’re not content with offering a single device or reselling an existing product line. Instead, we’re entirely committed to exploring every part of our industry and having control over the entire product development process. That way, we know exactly what our products can do and can ensure their quality is up to our standards. Over the years, we’ve established a reputation for being experts in our field. We’ve stayed at the top of the industry by developing a wide range of high-quality products that span the entire gamut, from lab equipment to devices that aid program facilitators to the breathalyzers and products the consumer uses throughout their program. DrugRead is one of the quality products we offer to help make the road to license reinstatement and independence as easy as possible. 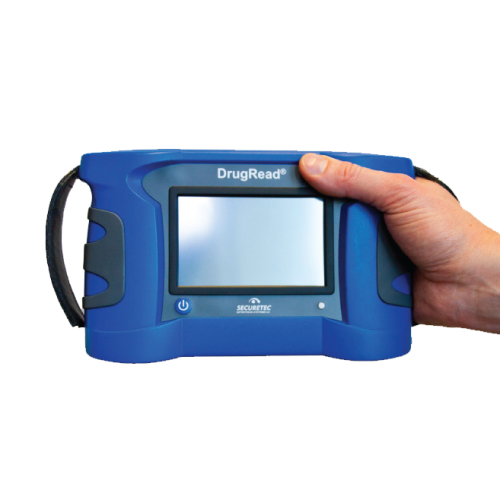 The DrugRead is a mobile device that interprets and stores DrugWipe test results. It’s a highly reliable device that shows you a clear yes or no result when a DrugWipe is inserted. The DrugRead has a time-controlled test run which offers precise time keeping, and it also comes with a printing option. 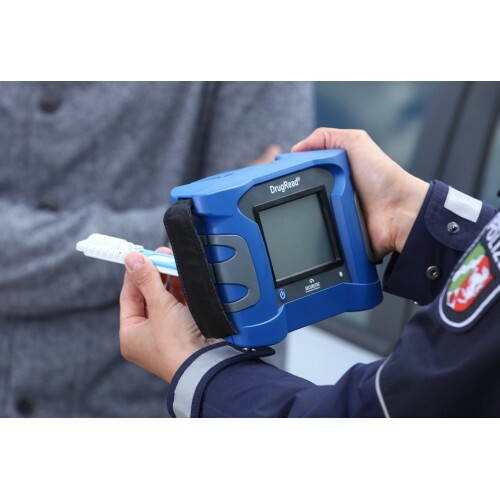 The DrugRead is easy to use and is a popular instrument for roadside control officials at checkpoints as well as in police stations. Each DrugRead comes equipped with a power adapter, an in-vehicle charging cable, a USB download cable, and a user guide. You can also request a Bluetooth printer with adapter and in-vehicle charging cable as well as a DrugRead™ stand if you’re interested in accessorizing your DrugRead for more efficient use. Here are some of the unique features and benefits you can expect from DrugRead. Fast interpretation of various types of DrugWipe™ drug screeners. Provides accurate yes or no results that you can trust. Designed to be carried anywhere you go. Touch screen operation for ease of use. Available USB port will make your data transfer to the computer easier. Operates on energy saving mode to save battery life. 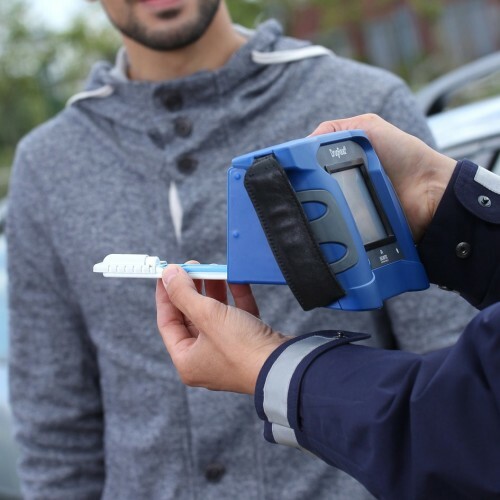 ALCOLOCK’s DrugRead is one of the many products and services we offer our drivers and program facilitators alike. Whether you’re a program participant looking for ways to successfully fulfill your requirements and stay in compliance or a service provider hoping to increase your existing line of offerings to better serve your client base, we have a wide range of options that can help you achieve your goals. Visit our shop for a host of top quality products and services developed specifically to meet your needs.